At SWAN Plumbing, Heating & Air, we take pride in offering the most reliable and affordable plumbing and HVAC solutions possible to residents of Lone Tree, Colorado. 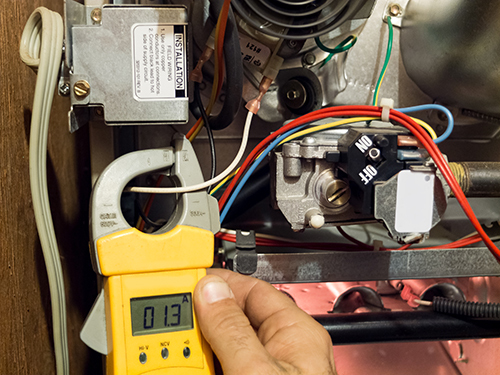 Our licensed technicians have a combined four decades of experience with the tools and knowledge necessary to diagnose and fix any HVAC or plumbing issues you may be experiencing. We guarantee the problem will be fixed right the first time. All work completed by SWAN technicians is backed by our 100% Satisfaction Guarantee. If you are not satisfied with our results or the problem returns, so will we. You can always rely on SWAN for fair and upfront pricing with absolutely no surprises. Or, click here to schedule your Lone Tree plumbing or HVAC service online. Lone Tree winters can feel very long when your heating system isn't working. If your boiler or furnace is acting up, you can count on SWAN HVAC technicians to diagnose and fix the problem right the first time. Residential furnaces may last for 15-18 years, but they will need repairs at some point before they wear out completely. If your furnace is not keeping your entire home warm enough or it isn't working at all, we will get to the bottom of the problem. If repairs are not a cost-effective solution or your furnace is preparing to fail, our Lone Tree furnace technicians will help you select a new furnace that can help you save up to 15% on your heating bill. Do you have an uneven temperature in your home with some rooms that are too hot or too warm? This is a sign that your boiler is getting ready to fail. Boilers only last for about 12 years before they need to be replaced, but sometimes the life of the boiler can be extended with repairs. 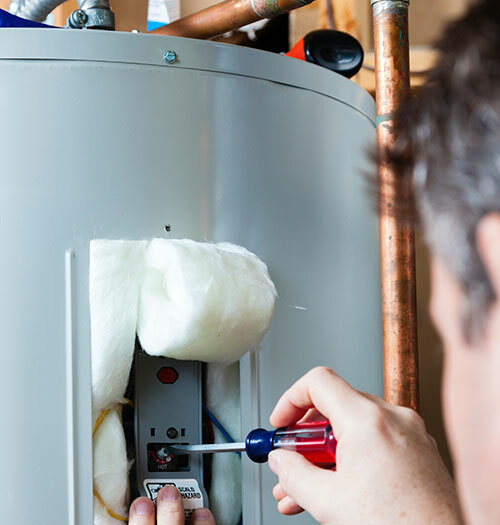 Our Lone Tree boiler experts will help you decide whether your boiler should be fixed or replaced with affordable repair and installation services. Our Lone Tree air conditioning technicians maintain, repair, and install all types of AC systems, including wall units, central air conditioning, and ductless systems. Whether you want an annual tune-up or you're ready to replace your entire air conditioning system, we are here to help. All air conditioners require repairs on occasion. Your air conditioner may need repairs if you notice your cooling costs going up, your home is not as cool as it once was, or the system is operating very loudly. Our Lone Tree air conditioning repair technicians can diagnose the problem and perform the necessary repairs to keep you cool this summer. Common AC issues we encounter in Lone Tree include low air flow, damage to the compressor, leaking refrigerant, electrical problems, and a lack of maintenance. Did you know the single-most effective way to lower your cooling costs and extend the life of your air conditioner is routine maintenance? An annual tune-up from SWAN will ensure your air conditioner is ready for the summer. Our 22-point tune-up includes a thorough inspection of your AC unit and ductwork as well as filter replacement, coil cleaning, and refrigerant re-fills. You may save up to 20% by staying on top of maintenance! Central air conditioners can last anywhere from 15 to 20 years with regular maintenance, but other air conditioning systems may need to be replaced even sooner. When your AC system has reached the end of its life or you are ready to upgrade to an energy efficient model to save 15-20% on cooling costs, SWAN is here to help. Our Lone Tree AC installation experts will help you choose the best size and brand of air conditioner to keep you cool and keep your cooling costs as low as possible. Our licensed, industry certified plumbers handle all types of residential plumbing jobs, large and small. Whether you have a leaking pipe in the bathroom, a clogged drain, or you are ready to replace your home's aging plumbing system with copper, we are here to help. Our Lone Tree plumbers maintain, install, and repair residential plumbing systems as well as water heaters to keep your plumbing system working flawlessly. Our residential plumbers in Lone Tree, CO perform all types of residential plumbing services. Our plumbers have the knowledge, experience, and training to diagnose and repair everything from low water pressure and rust-colored water to hidden leaks, clogged sewer lines, and failing plumbing systems. You can count on SWAN plumbers to quickly diagnose and fix any plumbing issue you may be experiencing with upfront pricing. Do you have rusty water? No hot water? Hot water that runs out in just a few minutes? If so, your water heater may need repairs or replacement. Our Lone Tree plumbers will diagnose the problem and recommend repairs or, when necessary, a new water heater to solve the problem. SWAN plumbing technicians install and repair all brands of tankless, gas, electric, and solar water heaters. For only $99 (reg. price $199) we will send one of our clean cut, highly trained & qualified, drain cleaning technicians to your home in Lone Tree, Colorado and fix any issues you may be facing with drains or sewer line right the 1st time! We offer a full range of drain / sewer line cleaning, drain snake & sewer scope services for all residential Lone Tree, CO plumbing customers.